Get access to the UK's best vehicle finance providers offering the best, tailored finance quotes to suit you on this new Jaguar F-TYPE car. 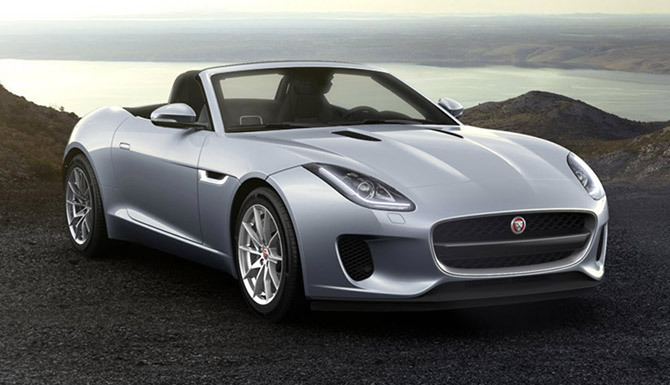 Representative Example relates to a New Jaguar F-TYPE Coupe R Dynamic 0% APR Representative available on new models registered between 1st April to 30th June 2019 at participating Retailers only. With Jaguar Personal Contract Purchase you have the option at the end of the agreement to: (1) return the vehicle and not pay the Optional Final Payment. If the vehicle has exceeded the maximum agreed mileage a charge per excess mile will apply. In this example, 14p plus VAT for excess mileage of 10,000 or more above the maximum agreed mileage. If the vehicle is in good condition (fair wear and tear accepted) and has not exceeded the maximum agreed mileage you will have nothing further to pay; (2) pay the Optional Final Payment to own the vehicle or (3) part exchange the vehicle subject to settlement of your existing credit agreement; new credit agreements are subject to status. Representative Example is based upon an annual mileage of 10,000 miles. Credit is subject to status and is only available to UK residents aged 18 and over. This credit offer is only available through Black Horse Limited trading as Jaguar Financial Services, St William House, Tresillian Terrace, Cardiff CF10 5BH. Pure Jaguar sports car. F-TYPE Coupé combines pulse quickening performance, instant response and precise agile handling, with everyday refinement and the convenience of up to 407 litres of boot space. 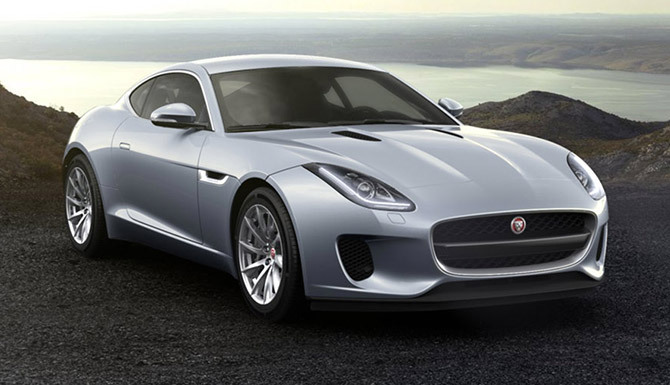 Jaguar’s powerful, efficient 3.0 Litre V6 340 Supercharged engine delivers sheer exhilaration. F-TYPE features a variety of rich colour combinations for body and cockpit as well as the option of a full length panoramic glass roof. The Jaguar F-TYPE shown in the following video is a representative example only of the car available for purchase from us today. Features and specifications will vary depending on model. Please contact us for full details.